United Conservative Party leader Jason Kenney was targeted in Thursday night’s leaders’ debate over his party’s position on gay-straight alliances, his refusal to fire Mark Smith and allegations his team “cheated” to win the UCP leadership race in 2017. 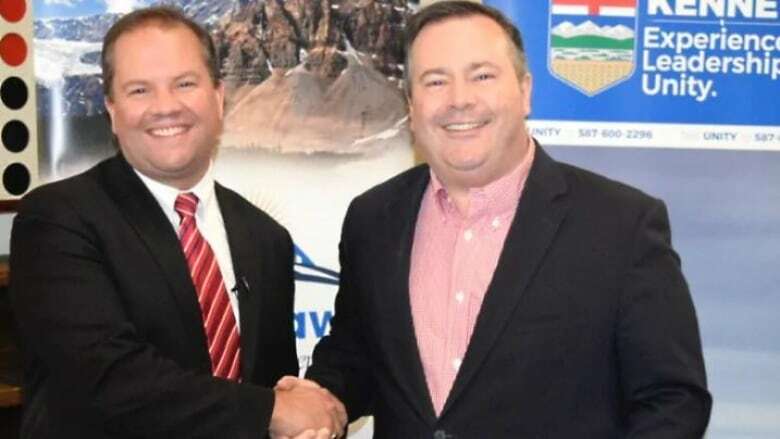 Kenney focused most of his attacks on Alberta NDP leader Rachel Notley, the current premier, particularly over her economic record and her “alliance” with Prime Minister Justin Trudeau. Notley relished the opportunity to attack Kenney, who has faced controversy throughout the campaign about candidates revealed to have controversial views and questions about Kenney’s role in the Jeff Callaway “kamikaze” leadership campaign to discredit fellow candidate Brian Jean. “Whenever she does this, it’s because she’s incapable of defending her failed economic record, the jobs crisis, her alliance with Justin Trudeau, her carbon tax,” he said. As for the allegations of cheating, Kenney said the results were confirmed by an independent firm. He challenged Notley to reveal the names of the two NDP MLAs who were investigated for sexual misconduct. Liberal leader David Khan and Alberta Party leader Stephen Mandel — each with single-digit support in the polls — went after each other, in one of the most memorable exchanges of the night. Khan accused the Alberta Party of advocating for private health care, which Mandel vehemently denied. When Khan said he heard Mandel say it on a radio station. Mandel asked Khan what he was smoking at the time. “Maybe you were smoking things that you shouldn’t have been smoking,” he quipped.